In the wake of more leaks than a badly fitted toilet, the White House has put in place new security that also includes the banning of personal cell phones. The move, a policy put into play by Chief of Staff John Kelly, was initially believed to only relate to smartphones but now that appears to not be the case with anything with WiFi, Bluetooth, radio or cellular capabilities also covered by the ban. 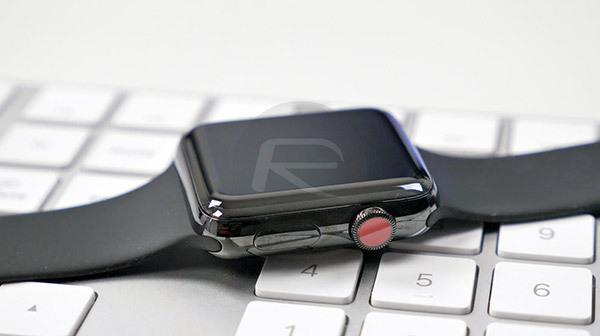 That means tablets and smartwatches such as the iPad and Apple Watch are also included. An internal memo obtained by ABC news covers the new policy and outlines what can and cannot be brought into the West Wing. As the memo says, any personal device with a means to connect to the outside world is banned with fitness trackers also covered thanks to their use of Bluetooth. The Apple Watch is also very much on the list thanks to its plethora of radios. The policy goes further than originally expected and is not just limited to personal cell phones. It also includes laptops, smartwatches and “devices with WiFi, Bluetooth, radio, or cellular capabilities” and “any portable device that emits an electric signal and was not issued by the White House Communications Agency,” according to the memo. While the obvious assumption here is that the move is to prevent leaks out of the West Wing, press secretary Sarah Sanders says that is not the case at all, something we have to admit to finding difficult to believe. “Absolutely not. That’s a ridiculous characterization. This is about the security and the integrity of the technology systems here at the White House,” Sanders said. No matter the actual reason, if you work in the West Wing, an area that apparently covers “the facility generally located between the President’s Executive Residence and West Executive Drive,” then you might want to start paying particular attention to what you take into the office.